Ingredients Tofu (Soybeans, Water, Calcium Sulfate, Glucono Delta Lactone), Sugar, Water, Semi-Sweet Chocolate [Chocolate Liquor, Sugar, Cocoa Butter, Soy Lecithin (Emulsifier), Vanilla Extract], Enriched Flour (Bleached Wheat Flour, Malted Barley Flour, Niacin, Reduced Iron, Thiamine Mononitrate, Riboflavin, Folic Acid), Invert Syrup, Cream Cheese Style (Water, Coconut Oil, Tapioca Starch, Canola and /or Safflower Oil, Potato Starch, Pea Protein Isolate, Sea Salt, Vegetable Glycerin, Xanthan Gum, Lactic Acid, Agave Syrup, Natural Vegan Flavors, Titanium Dioxide, Vegan Enzyme, Cultured Sugar), Soybean Oil, Cocoa (Processed with Alkali), Vanilla Extract, Salt, Modified Corn Starch, Leavening (Sodium Bicarbonate), Corn Starch, Vinegar. 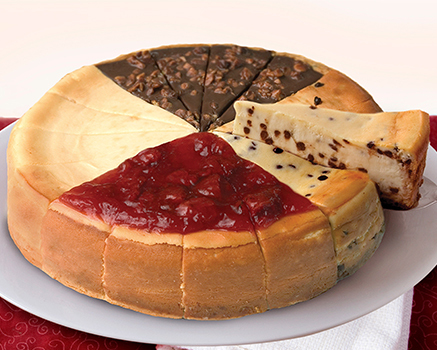 This cheesecake is phenomenal! Great decadent dessert..... non vegans would love it too! I was excited to try this vegan dessert from a famous company. The cheesecake tasted even better than we thought. THANK YOU, Eli's for creating this excellent dessert. Hopefully, there will be more flavors in the future!! !